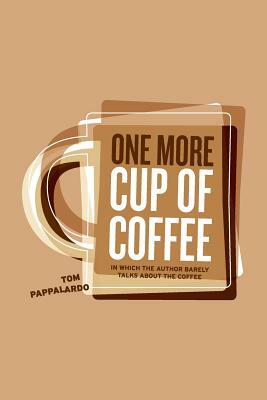 Follow author Tom Pappalardo on a black coffee tour of cafes, diners, and convenience stores, as he travels the potholed side streets and witch-cursed back roads of Western Massachusetts. Grab a table and sit. Nod and smile at whatever the waitress brings you. Does it taste like a 9-volt battery dipped in old, hot Coke? Good. You're in the right place. * Visit cafes overrun with bespectacled and be-bearded white male writers feverishly tweeting their clever observations. * Seek the approval of old men skulking in diner booths, quizzing you on long-gone local businesses until you admit you're not a real townie. * Spiral off on occasional departures from reality. * Angrily shake your fist at those consarned millennials with their preferred pronouns and befuddling emoji. * Delve into scathing social critiques of corporate coffee chains th-- OH GOD I'M BORED ALREADY. * Suffocate as caffeine-fueled paranoia destroys you from within. * Sit quietly; stare at phone. * Curl into fetal position on a sticky convenience store floor, between the humming refrigerator case and the high fructose sadness.